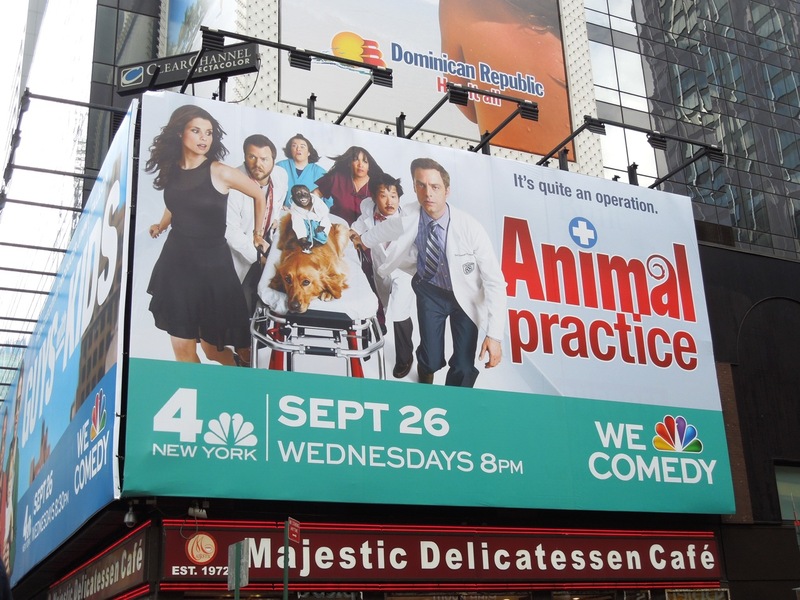 These funny and frantic billboards for Animal Practice immediately convey the theme of the comedy about a bustling New York City animal hospital. 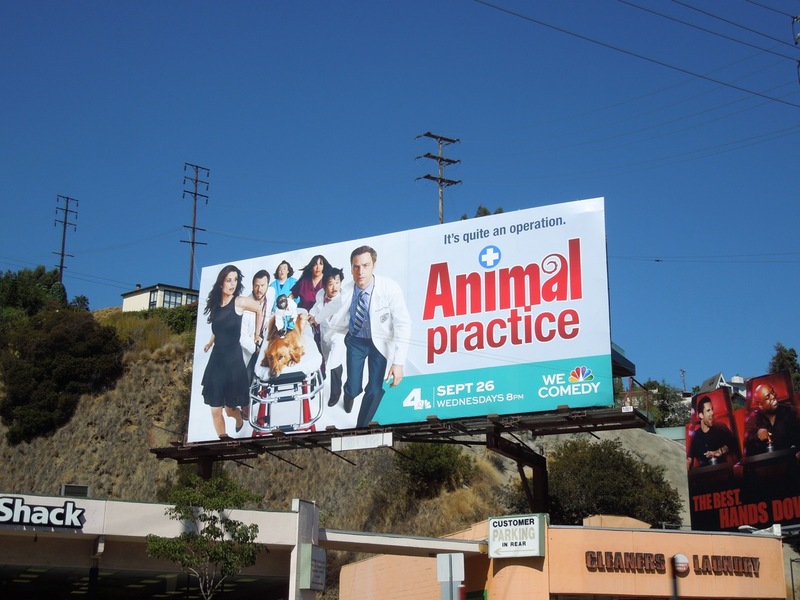 They say never work with children or animals, so at least one out of the two is better than none at all. 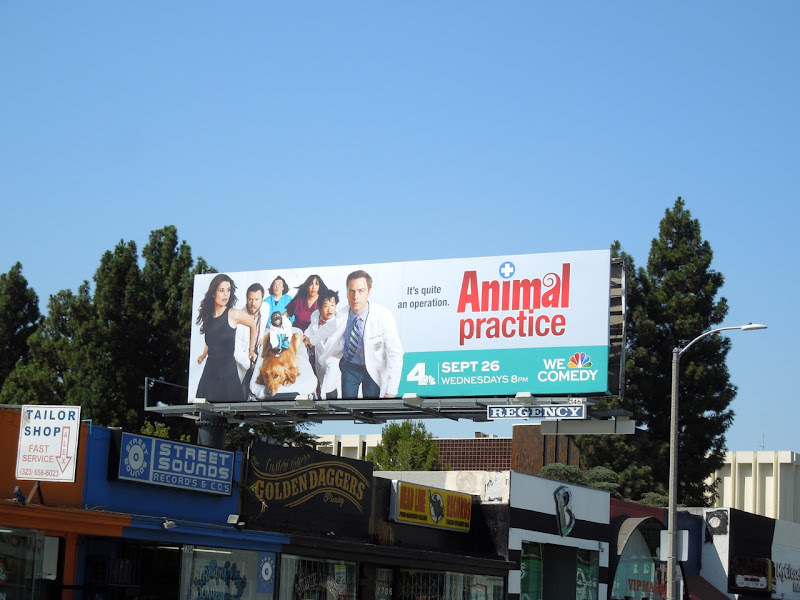 Justin Kirk stars as unorthodox vet 'Dr. George Coleman' who has a way with animals of all kinds, except humans. Enter his ex-girlfriend 'Dorothy Crane' (JoAnna Garcia Swisher) who has just inherited this family business and is now his boss. 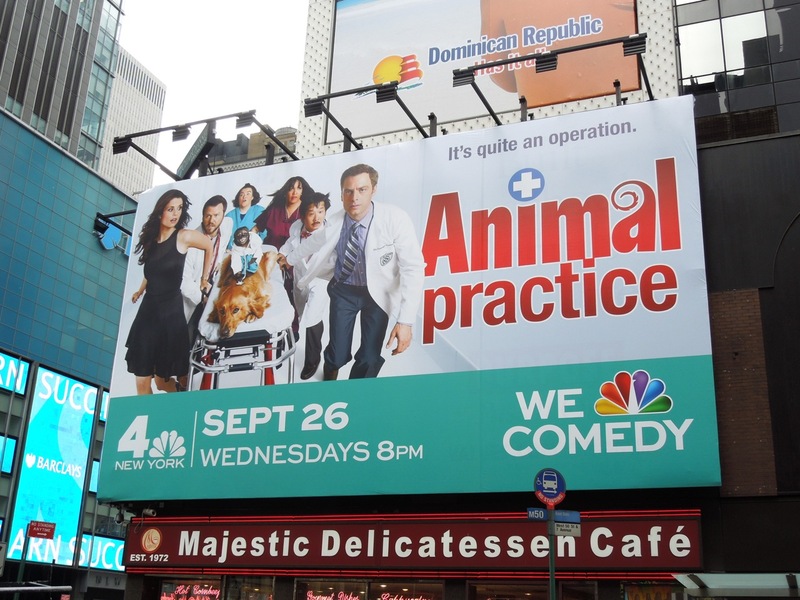 Add a smattering of support doctors and technicians, plus ill and injured animals (of course pretending to be sick) and let hilarity ensue (hopefully). These Animal Practice series premiere billboards were spotted around the streets of L.A. and New York City. 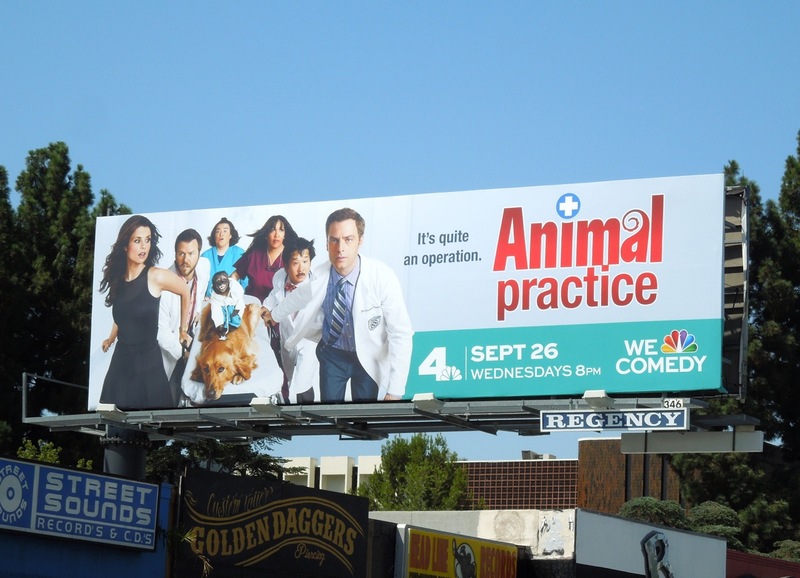 The Los Angeles based ads were snapped along Melrose Avenue and Sunset Boulevard on August 30 and September 14 respectively, whilst the New York billboard was snapped near Times Square at West 50th and 7th Avenue on August 28, 2012. 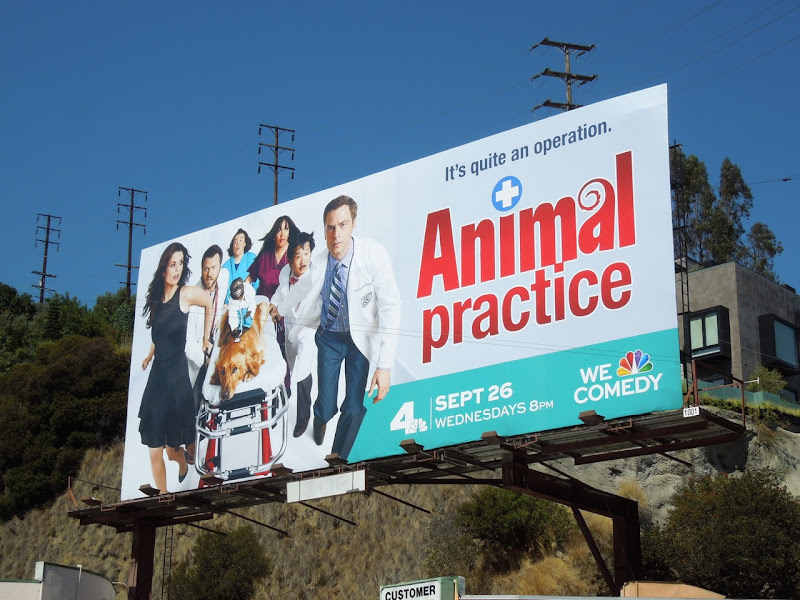 It may be 'quite an operation', but let's hope that no animals were harmed in the making of this new show (Daily Billboard isn't so worried about the humans).